Peter Maddox joined WRAP in 2006 and became Director in 2016. He has worked on the market development of recycled materials, built WRAP’s strategy and planning function, and managed WRAP’s resource efficiency programmes for Defra. He developed WRAP’s new business strategy around a circular economy framework, and in 2015 established the Resource London partnership with the London Waste and Recycling Board. 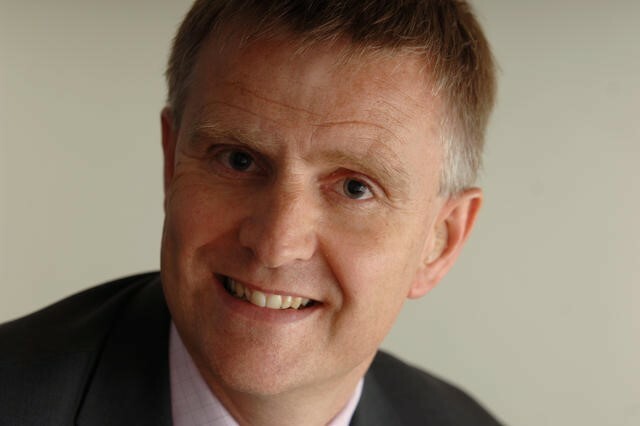 As Director for WRAP UK, he is responsible for WRAP’s work on food, textiles, plastics and recycling in the UK. Before WRAP, Peter spent nearly 20 years working for BP in the petrochemicals sector in UK and France. He was lead chemist in a commercialisation of a new plastics technology in Marseilles for 3 years, then returned to London to establish and manage BP’s innovation partnership with Imperial College. As he moved away from technology, he took a range of leadership, strategy and change management roles across the business, including on the BP Amoco merger and other joint ventures. It was in his last years at BP that he became interested in recycling of plastics and the environment. He has a BA in chemistry and a DPhil in homogeneous catalysis from the University of Oxford. He also has a postgraduate certificate in sustainable business from the University of Cambridge. Outside work, Peter enjoys cycling, reading and real ale.